Due out on September 14 in Japan. The latest issue of Weekly Famitsu reveals Champion Jockey Special from Koei Tecmo for Switch. It will launch in Japan on September 14 for 7,800 yen. Champion Jockey is an action game series in which players aim for the top of the horse racing world. It is a fusion between the Tecmo brand’s Gallop Racer and the Koei brand’s G1 Jockey games. In story mode, players will make their debut as a newcomer jockey and compete against rival jockeys. The goal is to build up your victories and become the leading jockey. The data from the 2017 Japanese Derby is included in the game. 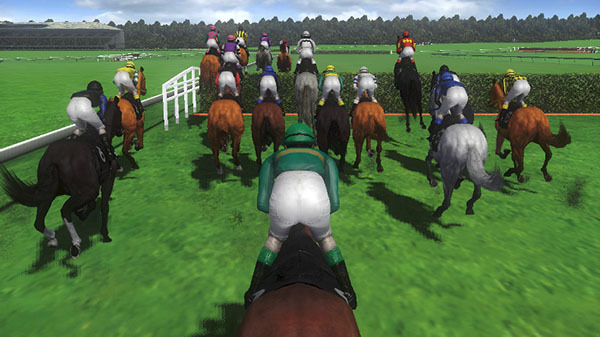 Six years following the release of the previous game, over 2,500 racehorses are being added. Gallop Racer Style – A style that stresses importance on the feeling of exhiliration. It’s easy to play with simple controls. G1 Jockey Style – A style that stresses importance on realism. The most trivial of controls are necessary. Custom Style – With this style, you can combine the Gallop Racer and G1 Jocket styles in your own special way. Depending on the season and weather, the scenery will change. There will also be obstacle races. Champion Jockey Special will also have connectivity with the Switch version of Winning Post 8. The rider you create in Champion Jockey Special can be made to appear in Winning Post 8. And horses you raised in Winning Post 8 can be transferred to Champion Jockey Special. Development is currently 80 percent complete.